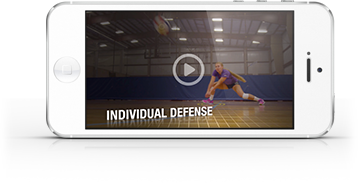 21 Down is a competitive serving and serve-receive drill. First team to zero points loses the drill. Passers receive a ball, and no matter the outcome, they get off the court and a new passer takes their place. Players who aren't in the passing tri-line are in the serving line. After the player serves, they join the passing line with players waiting to get on the court.